Congratulations to Cerkl client Allen County Public Library for being named one of the best libraries in the U.S. for the second year in a row. For the last 10 years, “Library Journal” has released a ranking list of America’s best public libraries. “LJ Index: America’s Star Libraries” compares U.S. public libraries with their spending peers based on per capita measures of service output. For the second year in a row, Allen County Public Library in Fort Wayne was ranked the best library in their spending class. 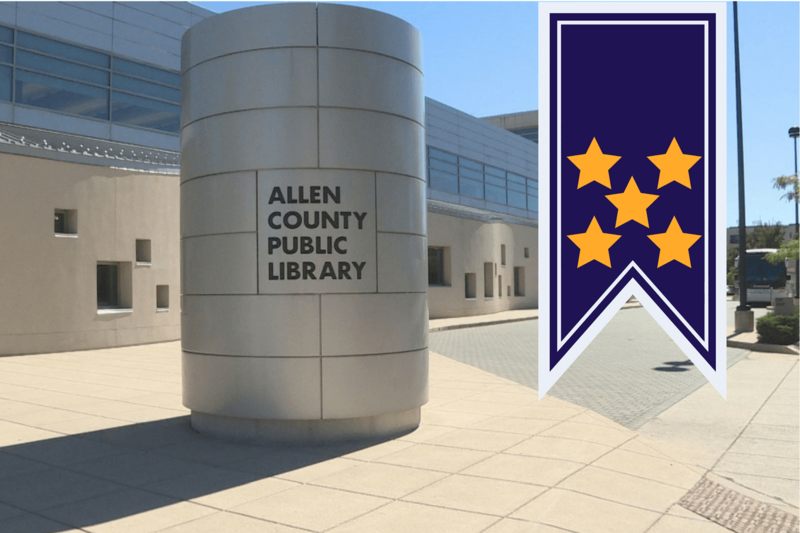 Since 2016, Allen County Public Library has earned a 5-star rating, an honor reserved for only the top 10% in each spending class. The Allen County Public Library has been part of the social and cultural fabric of Fort Wayne, Indiana and surrounding communities since 1895. Since then, the system has grown to 14 total locations. Allen County Public Library serves their population with a large collection of physical materials, downloadable content, and can’t-miss programs. No stranger to accolades, the library’s Genealogy Center is the largest public genealogy collection in the United States. As a truly 21st century library, ACPL was seeking a way to cut through the message clutter to get their patrons the library news and information they want to see. That’s why ACPL chose Cerkl’s A.I. to power their patron communications. Patrons are now receiving a personalized selection of events, book recommendations, and library news on the schedule they prefer. Cerkl is proud to help this decorated system spread the word of the good work they do. Congratulations to Allen County Public Library for this well-deserved honor.